The pilot light may be out. The pilot may be dirty, you may have a faulty gas valve, or you may need a new thermocouple. Your filter may be dirty. A dirty filter can obstruct air flow. Make sure your furnace filter is changed regularly. 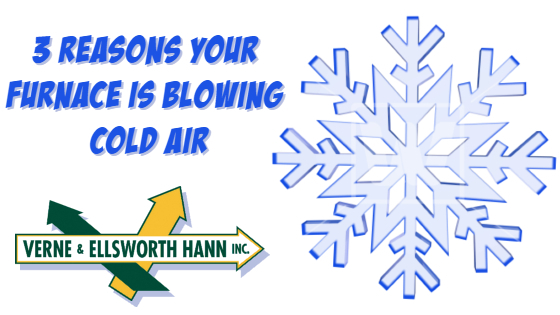 The best thing you can do if you find your furnace blowing cold air, is to call Verne & Ellsworth Hann. Our expert technicians will diagnose the problem and make the proper repairs or recommend replacement. It’s important for your safety, and the safety of your family, to let a trained HVAC technician take care of your heating system. Located in Cleveland Heights for over 63 years, Verne & Ellsworth Hann is owned and operated by brothers Bill and Chris Hann. 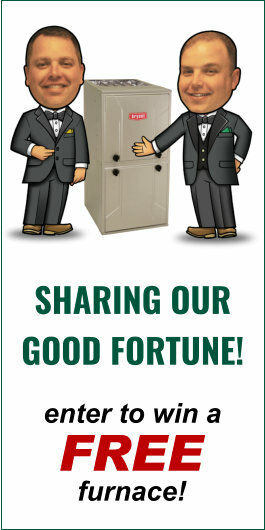 With 5 generations of Hann family experience, you can trust Verne & Ellsworth Hann with all your heating needs.